On Tuesday, Sept. 12, board members of The Indianapolis Foundation, an affiliate of Central Indiana Community Foundation, awarded $2,064,500 to 48 not-for-profit organizations in phase II of the Community Crime Prevention Grant Program. Grant amounts range from $5,000 to $100,000. The grant program is funded from public resources allocated annually by Indianapolis City-County Council. At the request of the City-County Council in April 2013, The Indianapolis Foundation entered into a contract with the City of Indianapolis to manage its grant program. This year, the City-County Council approved increasing funding for the program from $2 million to a total of $2,650,500, including fees for the program’s external management. The first $400,000 of those funds were awarded earlier this spring to ten organizations for phase I. Phase II, totaling $2,064,500, will be distributed to 48 not-for-profit organizations. improve neighborhood safety within the six focus-areas designated by the Indianapolis Metropolitan Police Department (IMPD). Bloom Project Inc. ($15,000)—For Project King, a yearlong mentoring program for young men, ages 12-18, focuses on character development, trauma, systemic violence and crime prevention topics. Girls Inc. of Greater Indianapolis ($20,000)—The Strong Program Suite will provide the Strong, Healthy Relationships program to 1,500 girls, ages 6-18, who attend schools or the Boys and Girls Club in IMPD focus areas. 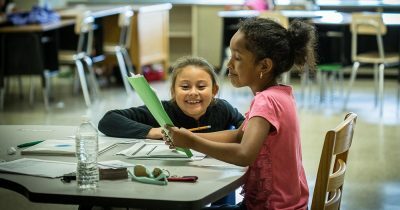 Greater Indianapolis Literacy League ($50,000)—The organization, also known as Indy Reads, will support its Community Classrooms for Success program, which provides literacy services in English language proficiency to 400 returning citizens at 15 community-based sites. Eventually, these adult students will transition into adult basic education and high school equivalency classes. Greater Indianapolis Progress Committee ($30,000)—This collaboration with Department of Metropolitan Development will identify employers to hire returning citizens. Neighborhood Self Employment Initiative of Indiana ($32,500), the organization, also known as Business Ownership Initiative, will support a 6-week small business education and training program with one-on-one coaching to 467 pre- and post-released returning citizens. Young Audiences ($10,000)—the organization, also known as also known as Arts for Learning, will support Inside Arts, a storytelling-center opportunity that utilizes digital media for youth ages 14-24 currently interacting with the criminal justice system. “I am proud that for the second year in a row we have grown Community Crime Prevention Grant funding, helping to provide additional resources for neighborhoods-based organizations and encourage continued collaboration with our public safety officials,” said Mayor Joe Hogsett. Earlier this spring, The Indianapolis Foundation awarded $400,000 during phase I to 10 not-for-profit organizations focused on street outreach, mediation and conflict resolutions during the summer. Grantees of phase I have met with IMPD and The Indianapolis Foundation staff throughout the summer to build community and to discuss results and impact as a group.